The National CASA Association has a wide range of Advocacy Resources for CASA Volunteers and Program Staff. Click HERE to visit their Advocacy Resource page. The California CASA Association also has many resources for our volunteers to utilize. Click HERE to visit their Volunteer Resource page. Part of being an advocate is accurately reporting the time, mileage, and money spent while advocating for foster youth. These forms are mandatory and vital to the funding of our program. If you have any trouble downloading the forms or if you have questions while filling them out, please contact your case manager. SpecialNeedsinmycity.com is an online parent resource for families with individuals with special needs. This one-stop, online resource helps families to know what recreational, educational and community events are taking place, what types of resources are available and hear from top-notch medical experts sharing their knowledge and expertise while answering parent concerns and issues. The free parent group allows families to ask their concerns, share their knowledge and experience with other parents and connect with families in similar situations. 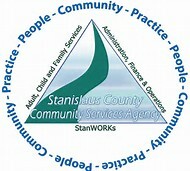 Community Services Agency - Sometimes the danger of abuse or neglect is so great that children must be removed from their homes. The foster care system provides a safe, hopefully temporary, environment for these displaced young victims. Receiving Homes are ready, 24 hours per day, to act as temporary shelters for children. Stays in these homes are not to exceed 30 days until suitable relatives can be located, or the children are matched with foster families. Regular Foster Care Homes are the backbone of the foster care system. These are homes where children are integrated, as naturally as possible, into family living situations. The trained foster parents must embrace and nurture the children, assist with the family's reunifications, and be selflessly ready to terminate the relationship as soon as the family is reunited. Specialized Foster Care Homes are county-licensed Level I, II, III, or IV foster homes, Foster Family Agency homes, Valley Mountain Regional Center vendored homes or group homes for children who have physical or emotional needs that required specialized settings. Specialized foster care homes are compensated according to the level of care children required. Examples of children who might require specialized care are: newborns critically affected by the mother's drug use, severely emotionally disturbed children, physically impaired or developmentally delayed children. Foster Youth Services Coordinating Program (FYSCP) provide support services to foster children who suffer the traumatic effects of displacement from family and schools and multiple placements in foster care. FYSCP have the ability and authority to ensure that health and school records are obtained to establish appropriate placements and coordinate instruction, counseling, tutoring, mentoring, vocational training, emancipation services, training for independent living, and other related services. FYSCP work with current and former youth, as well as staff members of group homes, schools, juvenile detention facilities, child welfare agencies, probation departments, and community service agencies to influence foster children's day-to-day routines, both during and after school. FYSCP increase the stability of placements for foster children and youth. These services are designed to improve the children's educational performance and personal achievement, directly benefiting them as well as providing long-range cost savings to the state. California Ombudsman for Foster Care - New California law gives foster youth the option to remain in foster care and receive services and supports until age 21! If you are a former foster youth under the age of 26, you qualify for FREE Medi-Cal coverage, which includes health, dental, vision, mental health, and substance abuse services. 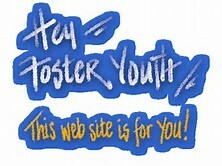 This website has a lot of information that will help current and former foster youth. Foster Youth Wellness Website - This site is designed to help foster youth and the adults in their lives learn more about pursuing wellness by providing links to youth friendly wellness resources. Here you'll find links to interactive tools, youth friendly websites, hands-on tools and worksheets, videos, articles, and more. 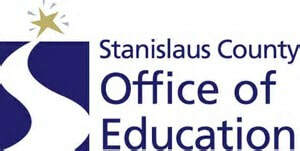 All resources may be downloaded for personal use or educational purposes by foster youth and their adult allies.